On 16th November 2018, Nótt made her first appearance in Doncaster at the brand new DN Festival of Light, run by Right Up Our Street. We had to adapt our lights to change colour on a button press, which was controlled by the puppeteer hidden inside the Nótt costume. 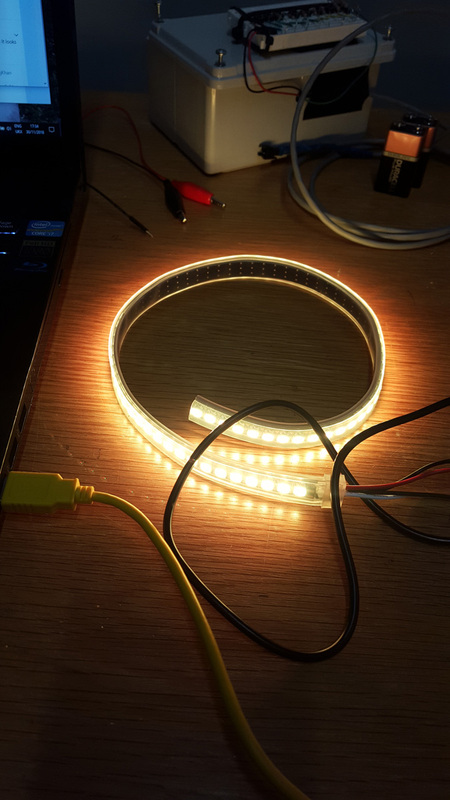 The Neopixel LED lights that provide Nótt’s lantern light are in a strip of 144 LEDs where each single light is programmable to be any colour. 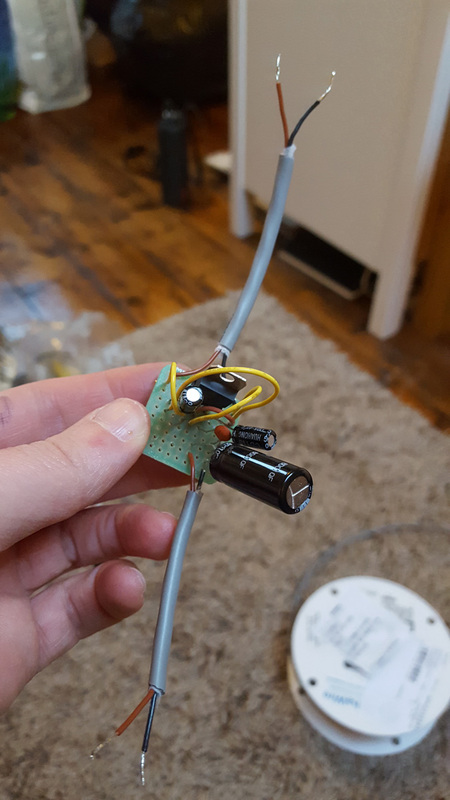 The controller for the lights is an Arduino – a relatively cheap microcontroller (in the form of a board) that you can upload coding to from your computer – coding which can control a range of devices, including strips of Neopixels. For Nótt’s lantern, I had to find and adapt existing code (or write my own) which would program the lights to change colour, in response to different inputs. I managed to create two sets of code. One set changed the colour of the lights via Twitter, the other changed the colour of the lights on a button press (as a back up, in case the Twitter feed didn’t work for any reason – I’m glad I did this!). We wrote the fairly simple button press code from scratch. 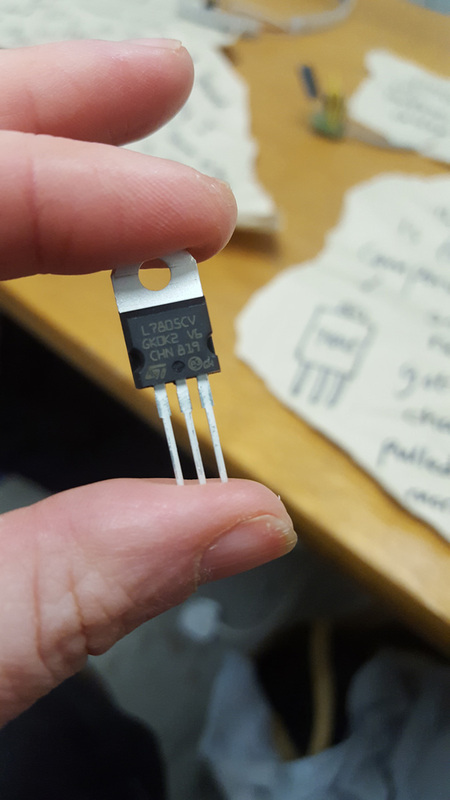 The code was uploaded directly to the Arduino (which could then be disconnected from the computer to run on its own). The only slight alteration we had to make were to do with getting the colour values right. 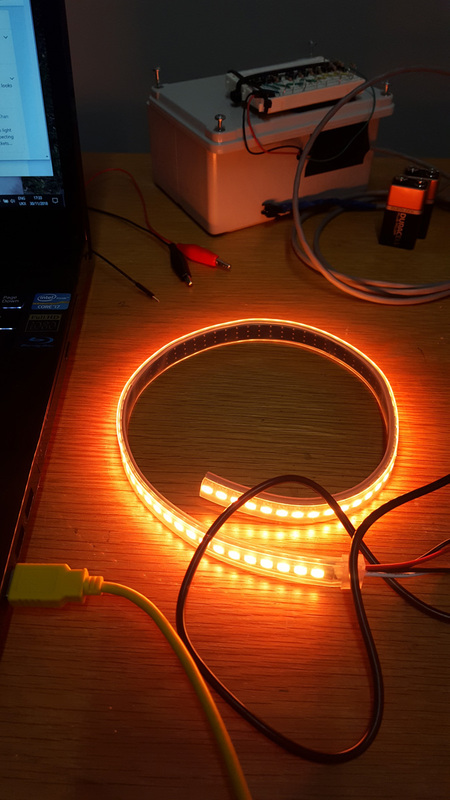 A bit of tinkering meant much better yellow and orange options than the recommendations on the Neopixel help website. The Twitter code required two sets of code running at once – one that is uploaded to the Arduino, and runs when the Arduino is switched on, and the other which runs on a computer at the same time. 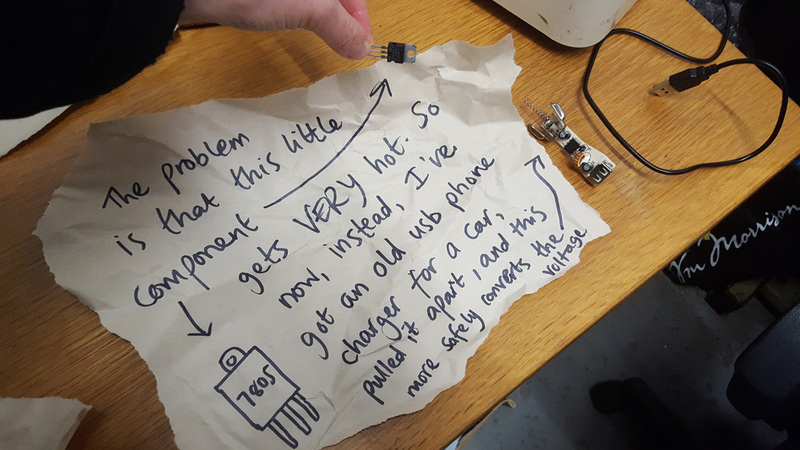 The problem with this is that the Arduino needs to be connected to the computer in some way. 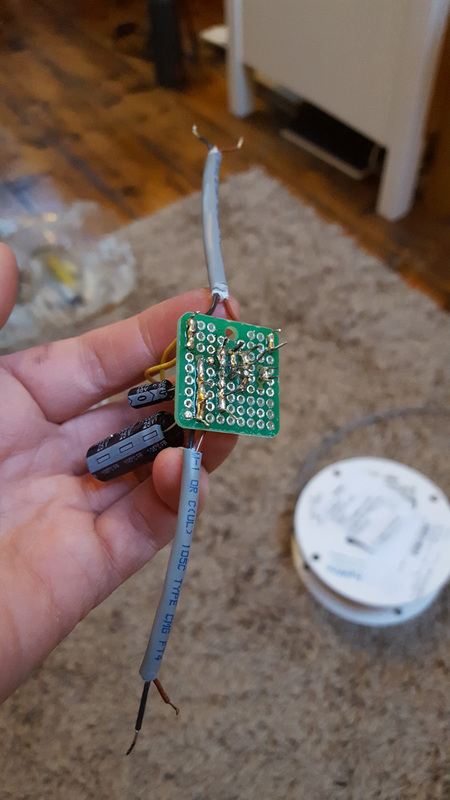 For the code to work smoothly, the Arduino needed to be connected via an actual wire, and even then, the response time from Twitter was very slow indeed. Twitter allows developers and hobbyists alike to access their feeds from ‘the back end’, via something called the Twitter API. 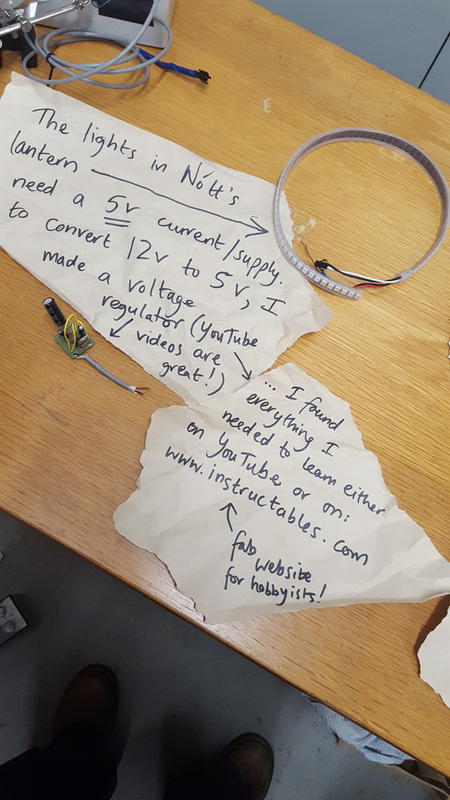 Before Twitter changed the level of security for people to access this, it WAS possible to write code that could be run on JUST the Arduino – making it much easier for Nott’s circuitry to be portable. 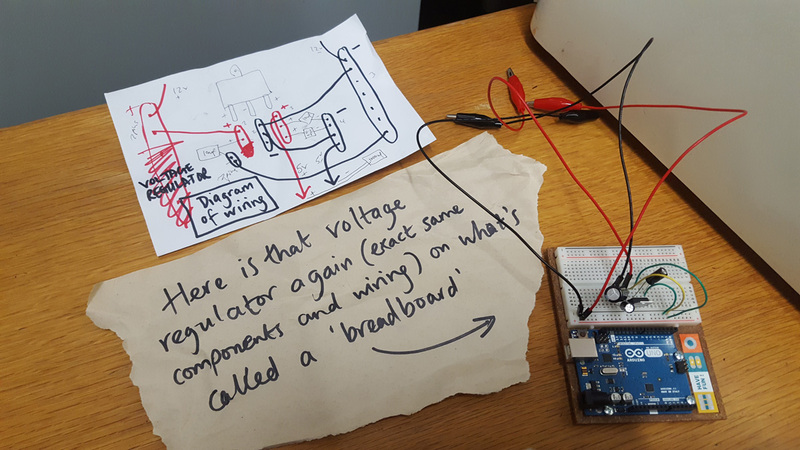 This year, however, Twitter tightened up this access and made this kind of code unworkable – which meant that I HAD to attach the Arduino to a second device (i.e. my laptop or another computer) in some way for the interaction with Twitter to work. We plan on exploring BOTH of these avenues in the very near future! As far as Twitter is concerned, we’re working on it! In terms of integrating technology into the heart of our shows, DN Festival’s support for the development of our Nótt character has been incredibly valuable. 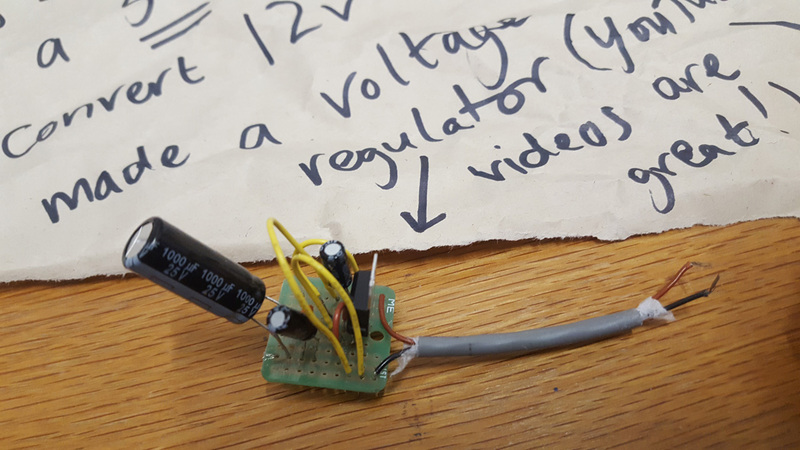 Because of the support they have given us to explore lightweight, relatively cheap and portable electronics, along with emerging technologies, we have learned a huge amount and achieved a new way to interact with our audiences within our work. 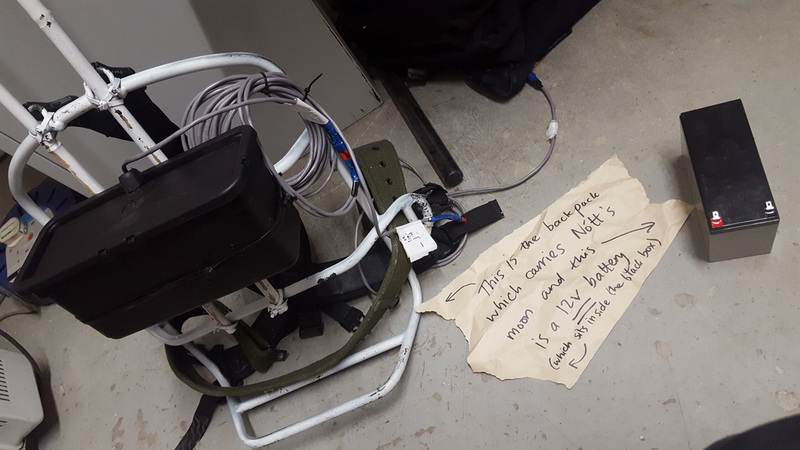 Although connecting to Twitter didn’t quite happen on the night, the technology we DID use became a surprisingly magical part of the show for our audience members in Doncaster, and we are committed to developing this further for future performances. The festival has been massively supportive of our experimentation process and the fact that we had to adapt our findings to make the show work for us on the night. Their support has undoubtedly informed the way that we integrate technology in our work from now onwards. We were almost successful at making our puppet’s lantern change colour with Twitter… and I’m pretty sure that we’re not far away from our solution!